I may seldom bring up the music that originates from my own country, but that doesn’t deny the fact that I still do preserve a special place for music that will sub-consciously remind me of home. Music is music - regardless. No matter where they come from; if it’s good then I’d be more than obliged to give in to each corner of its spacious melodies. Therefore in conjunction with our 50th Independence Day, I’d like to draw everyone’s attention to something slightly unconventional but not at all unusual or abnormal. These are songs that will bring you closer, further and deeper into the hidden depths of a place you’ve never even set foot before. It might be good, it might just be what you were looking for all this while or it might be new to some of you, but all in all, its music – regardless. 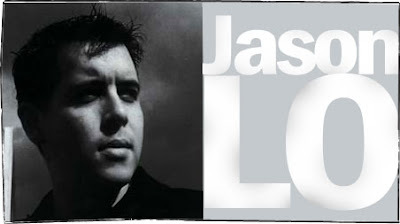 Jason Lo is a Malaysian musician, music producer, DJ, and media personality also often known as ‘J.Lo’ or just simply ‘LO’. Most of his songs are filled with deep, multi-layered lyrics; there’s no denying that he is one talented song-writer. I’ve always loved the music he wrote although his earlier works would find a hard time fitting in into the Malaysian mainstream music. Soon after, he emerged with another album containing a track; ‘Operator, the Line is dead’ which gained instant popularity and charmed it’s way into the many hearts of Malaysian music fans. The song resonates with a familiar seamless vibe that felt just about right and what many of us were in search of. 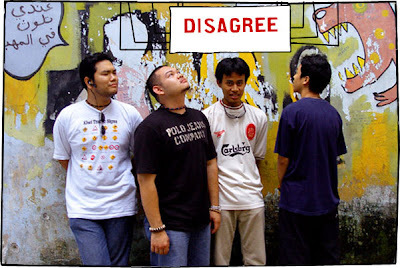 Disagree is another band that I’d like to mention, being under the same record label of the aforementioned Jason Lo. A rock band that dedicates itself to epic post-rock tear-jerkers that’s amiably good accompanied by modest, lo-fi sounds which creates an intimacy that’s hard to find in those fully produced music of major label record artists. Listen to this particular track called ‘Crumbs’ and you’ll hear a couple of Pearl Jam imitations that’s frequent through out the song. “We're just a band that wants to succeed and do our best. All we wish for is the growth of our band, the bands around us and the scene itself. What more could we ask for? What more could we lose?” and who are we to deny a wish as unpretentious as that.